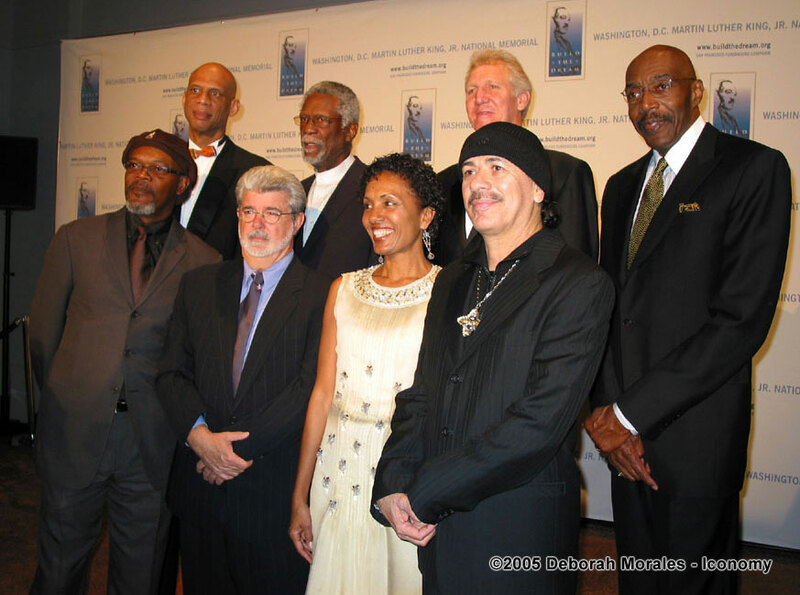 Just this past week Mr. George Lucas attended/co-hosted an event in San Francisco with his son, Jett, that will help considerably in the efforts to build the Martin Luther King, Jr. Memorial in Washington, D.C. placed between the Lincoln and Jefferson memorials. The event was called the Dream Dinner. 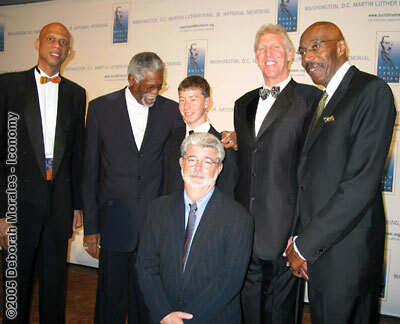 The photograph, taken at the event, shows Lucas with Basketball Hall of Famers (l - r)Kareem Abdul Jabbar, Bill Russell (William F. Russell) leaning in with a word to the young Mr. Lucas, Bill Walton (William T. Walton), and Nate Thurmond. HERE Very cute. If you'd like to read a little more about the event, the contributors and the Memorial you can see an article HERE and the official website for the MLK Memorial HERE. Cool if you think about it, we gave money to the memorial. We are the ones who paid to see his movies! It makes me feel fuzzy inside. To jkthunder- Yea! Where is the flannel?